Purchased 1964 in Toronto by Asbjorn R. Lunde, New York; gift 1975 to NGA. 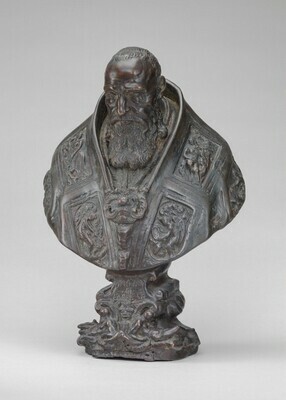 In a letter to the Museum für Kunst und Gewerbe in Hamburg of 7 August 1964 (copy in NGA curatorial files), Mr Lunde writes that he had "recently purchased a small bronze bust of Pope Paul III, apparently dating from the Sixteenth Century. I found the bronze in Toronto and the dealer stated that it had once belonged to the collection of a German admiral by the name of Nietzke (the name may not be correctly spelled) who had had the bronze as early as about 1870." Barbour, Daphne, and Lisha Deming Glinsman. 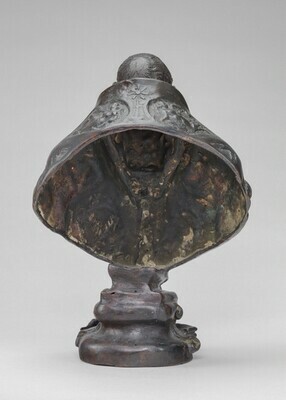 “An Investigation of Renaissance Casting Practices as a Means for Identifying Forgeries.” Conservation Research. Studies in the History of Art. 41 (Monograph series II, 1993): 15-29, repro. Sculpture: An Illustrated Catalogue. National Gallery of Art, Washington, 1994: 157, repro.